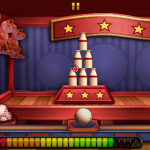 There's nothing quite like the Carnival, and now you can play Carnival games from the comfort of your iPhone/iPod Touch. 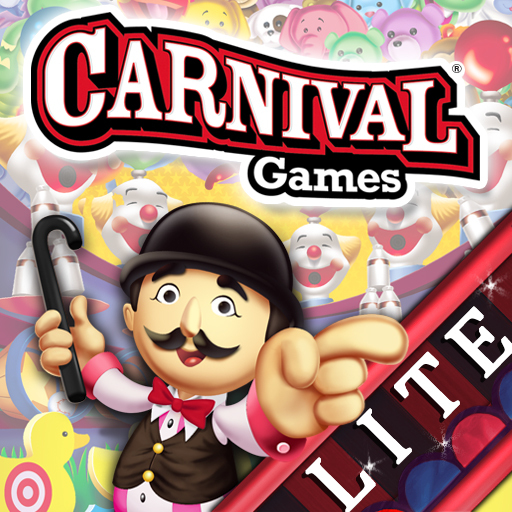 The game uses the capabilities of the iPhone like tilt and tap to bring you some of the most well known Carnival games. Plus you don't have to deal with any carnies trying to rip you off by rigging the games. 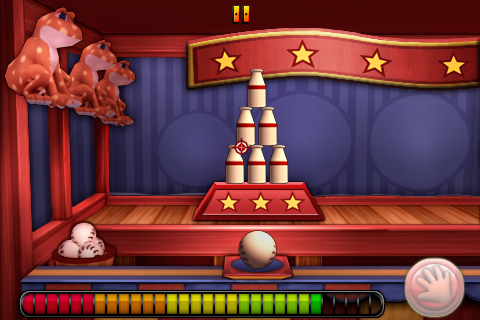 There are ten mini games including knock down the milk bottles, test your strength, and a whack a clown game. There are prizes and tickets to earn depending on how well you do on the different games. Then you can customize your character with various items that you earn. Each of the ten mini games offers a different challenge with the iPhone mechanics well incorporated. 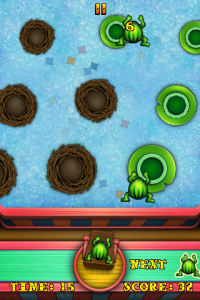 Tapping the clowns, aiming and then tapping the power meter to hit bottles, and launching frogs by dragging is great fun. These are games you can play over and over or one at a time in short bursts. 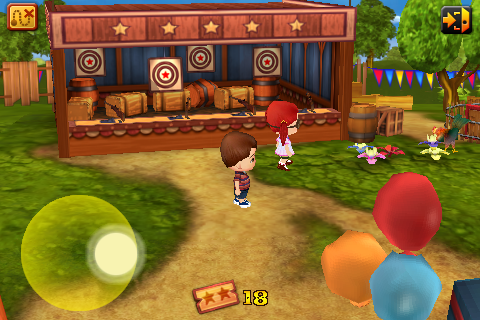 With the mini-game style you can set up your own competitions with friends. You can play your favorites again and again or move around to all the games. You can drag to have your character walk around the carnival or just tap on the map to jump right into specific games. The game has nice 3D modeling of every aspect from the tents to the objects in the game. The game is packed with color, and has a lot of detail in the objects to immerse you in the Carnival experience. 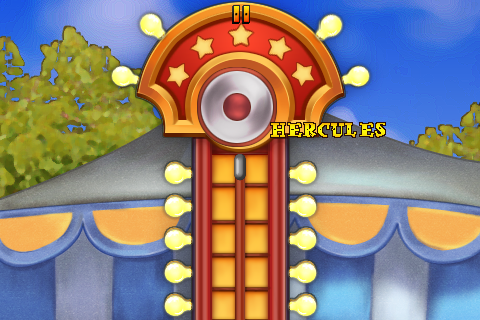 The soundtrack fits the Carnival atmosphere perfectly as well, plus there are accurate sound effects for each mini-game. The prizes are all digital of course, but they’re still plenty of fun to achieve, and then add to your character. It's also much better playing digital games with only one initial purchase price when at the Carnival you have to pay over and over each game you play. Once you've played every mini-game you won't see any more variety, and that's disappointing for $3.99. Most games though you will need to play a few times to get the biggest prize which of course you want. It would be nice to see a little bit better prizes like the ones you can earn in Ramp Champ, but it's still all digital anyway. The game is set up for solo player though you can always plays with a friend. The game just isn't set up with any two player modes which could help some with replayability. Carnival Games is a good iPhone adaptation of the popular Wii game, and incorporates the capabilities of the iPhone well. 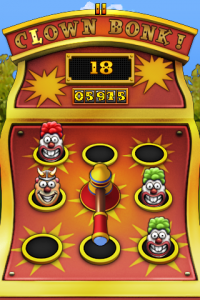 The game provides a solid Carnival experience with the classic games, and ambiance. The ten mini-games get old pretty quickly though there is variability between each one. 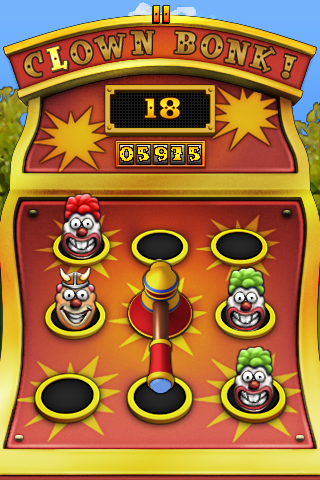 Carnival Games is worth considering for $3.99 depending on how much you like classic Carnival mini-games.